If the weight of the world has got you down, try a little Hydro-Therapy. This oceanfront gem boasts stunning ocean views from all levels and a distant sound view from the top level. 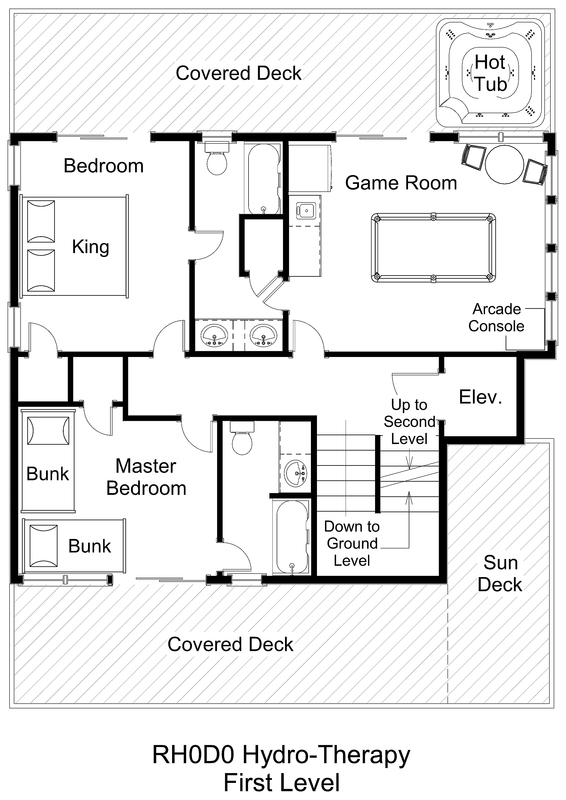 All bedrooms throughout the home have TVs and deck access, so everyone can enjoy a little peace and quiet. A Pack-n-Play, high chair, and baby gate are also provided to make baby's vacation a breeze. Dry entry on the ground level and a convenient elevator to all levels take the hassle out of move-in to make your stay a breeze from the moment you arrive. Hang out on the first living level in the game room with TV and deck access and enjoy some friendly competition at the combination pool and ping-pong table or the throwback-style arcade game. A wet bar with microwave and full-size refrigerator will keep all your snacks close at hand. An oceanfront king bedroom shares a full bathroom with the game room. Across the hall, the bedroom with two bunk sets opens onto a private partially-shaded deck overlooking the pool area and features a shower stall in the private bathroom. Step out onto the shaded oceanfront deck to watch the waves roll in while you soak in the bubbly hot tub. 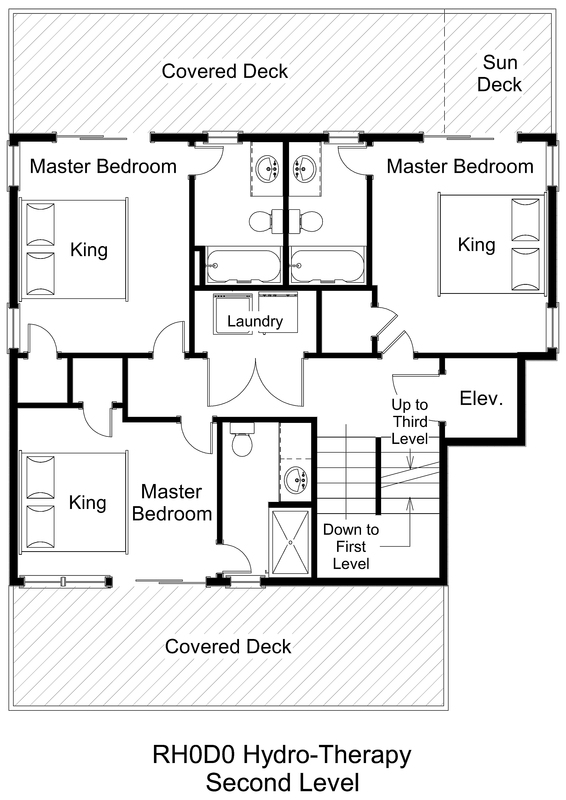 Three additional king master bedrooms are on the middle level. Two open onto a shaded oceanfront deck, and the third opens onto a pool-view private shaded deck, the perfect place to find some alone time. The laundry area is also on this level. 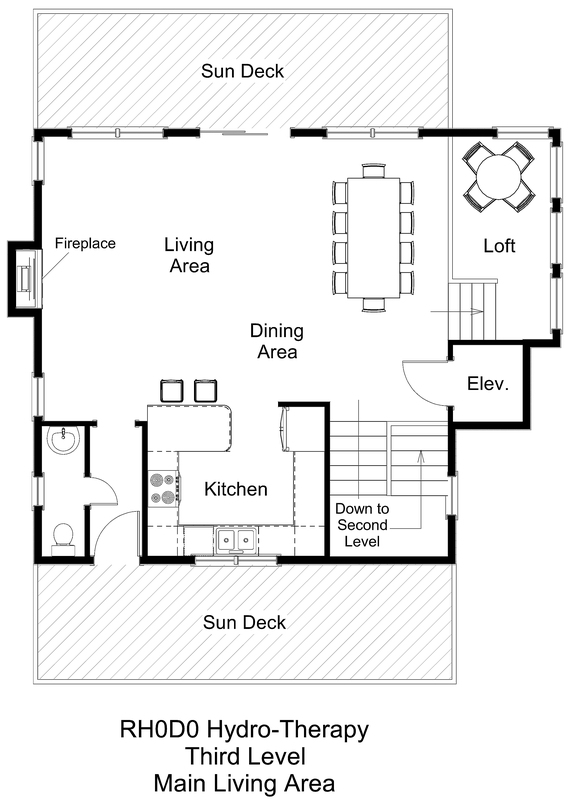 Spend quality time with loved ones in the open living, dining, and kitchen area with breakfast bar on the upper level. Cozy up in front of the fireplace on cool off-season evenings or sip your morning coffee on the oceanfront sundeck while watching a breathtaking sunrise. Family game time is a blast in the loft overlooking the dining area, with views toward the nearby Rodanthe Fishing Pier. Catch a mesmerizing sunset from the soundview sundeck down the short hallway from the living area. A half bathroom completes this level. Hang out in the private pool with free pool heat or head to the beach with the semi-private boardwalk shared with just one other home. Spend your days playing in the surf or reeling in the catch of the day, then stow your gear in the ground-level storage area for easy access at a moment's notice. A complementary pass to the Rodanthe Fishing Pier is included in your stay, for fishing and sight-seeing sure to delight young ones and experienced anglers alike. With dining and shopping an easy walk or bike ride away, you are ideally situated for any Hatteras Island adventure you seek. Soothe your soul at Hydro-Therapy. Can you have a fire on the beach? Yes, but a beach fire permit must be on hand. You can print them off of the NPS site or pick them up at any of our offices. What is considered seasonal for the linens? For 2018 it means that sheets and towels are provided for all full week stays between May 26, 2018 and September 7, 2018. Beds will be made on check-in day with the exception of top bunks, sofa beds, trundles, and futons (these sheets will be left in the cottage for you). Towel sets include 1 bath towel, 1 hand towel, and 1 washcloth and will be provided for the maximum occupancy of the cottage. 2019 guests have priority to rent the same house for the same week in 2020. These priority reservations must be made by the close of business on Wednesday of the first week of their stay. Otherwise, properties are released for reservation on a first request basis. So availability is not known until 51 weeks in advance, at which point it is released online. Is there a keurig in the house or just a regular coffee maker? A 12 cup coffee maker is standard in our homes. Very lovely comfortable house with gorgeous ocean views. The great room was amazing, perfect for enjoying the ocean while cooking, eating, or relaxing inside or from the deck. The elevator was nice considering the 4 stories and the keypad entry was a bonus for a quick start and easy end to the vacation. Great property with amazing views! This house is awesome! We had all the room that we needed. Very comfortable. The view is excellent!!! We've been staying at this property for the last 8 years. It's our home away from home! It's very well maintained and cared for and a stunning sky from both front and back decks! This property is absolutely a dream. You can't ask for better access to the beach and the views are breathtaking! Beautiful house right on the water with great views of ocean. 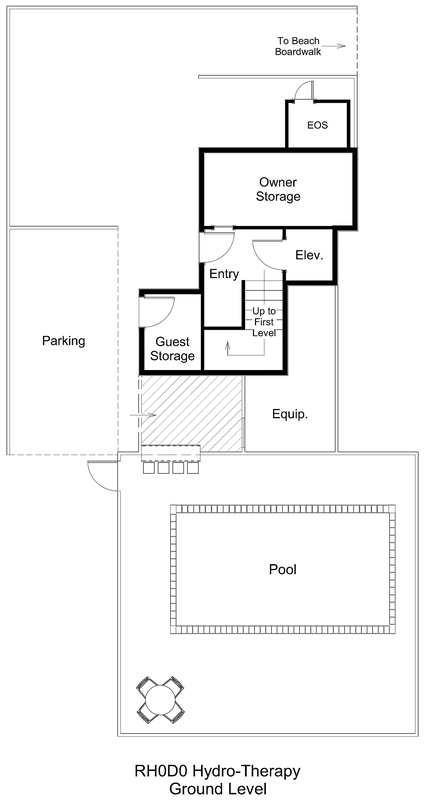 All the amenities you could ever want: pool; hot tub; balconies.